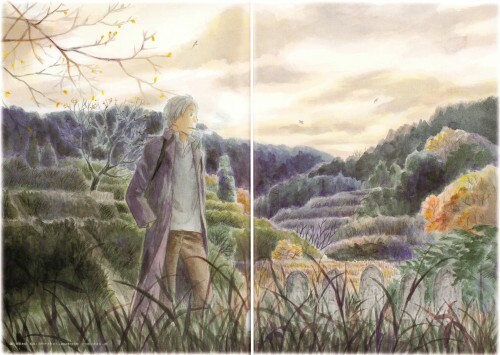 Mushishi in wonderland) Breathtaking picture. Oh, it's just so beautiful - I truly love this series. Some of the artwork just takes my breath away! Aaaaaa I ove this pic ! ! from far it's kind of weird to see Ginko's fore head, since it's always covered by his hair, but then I clicked the 100% view and all had sence XD Thanks for such a detailed scan!